"Hello, hero, are you for hire?" With those words, Misty Knight enlists streetwise vigilantes to tackle the jobs no other super-team will. When she calls, people listen - including Falcon, Black Widow, Ghost Rider, Silver Sable, Moon Knight and Paladin! But while Misty takes control, the Puppet Master might be pulling strings of his own. Can Iron Fist and the Punisher help her uncover the truth? 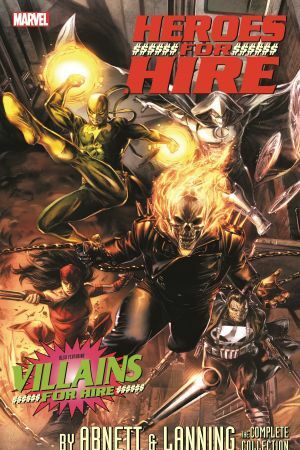 The events of Fear Itself and Spider- Island call for some serious street-level do-gooding - luckily Misty's little black book is crammed full of costumed contractors like Spider-Man, Black Panther, Satana, Shroud and Daimon Hellstrom! But when the manipulative Purple Man unleashes his Villains for Hire, she'll need a whole new recruitment policy: Fight fire with fire! 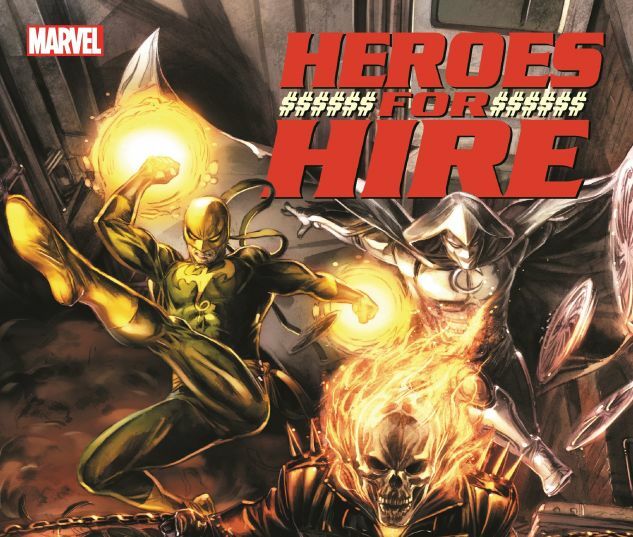 COLLECTING: HEROES FOR HIRE (2011) #1-12; SPIDER-ISLAND: HEROES FOR HIRE #1; VILLAINS FOR HIRE #0.1, #1-4.